Show #008 featured Jacksonville State University students John Lesley Morton, Ninma Sheshi, Keiasha Jordan & Ariah Jackson as they discussed the issue of attire and how to dress while in public. They expressed their thoughts regarding dress in the job interview process as well as appropriate campus attire and the importance of having a respectable public appearance. Jacksonville State University's Director of Career Services, Rebbecca E. Turner (pictured below) brought insight to the idea of sagging and it's level of appropriateness within certain environments. Turner also explained why appearance is simply not the way you dress, but also manners that you practice as well as simple etiquette skills. 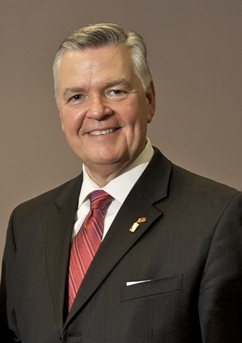 During the show, Jacksonville State University President, Dr. William A. Meehan briefly explained his stand on the long time style of pajama wearing to college classes and why it may or may not be appropriate in some settings. "There is always a chance to reinvent yourself"
"Whether its a part time job or a full time job that may pay six figures, it's important to make your best impression"